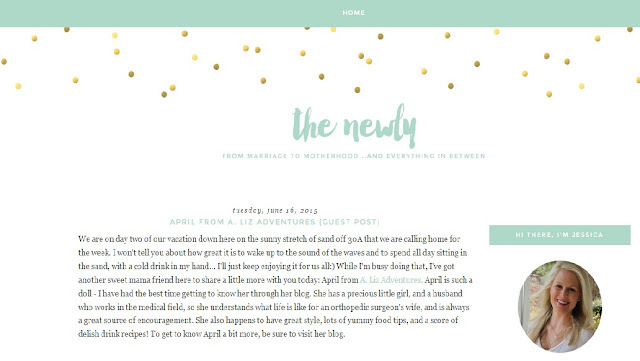 One sweet gal I have enjoyed getting to know through her blog is Jessica from The Newly. As a blog reader yourself, I bet you can easily name three bloggers that you just KNOW you'd easily click with if you lived in the same town. I definitely feel this way about sweet Jess! She is enjoying some nice family R+R time at the beach, and she invited me to guest post today. So, please click here to see what I posted about -- if you know me even a little bit, it won't be a shocker! And, since I'm always on the hunt for new fun blogs to read, I'd love to hear who some bloggers are who you wish you lived close to so you could get together for a cup of coffee or a glass of wine! Bloggers that you just KNOW you'd hit it off with! Well you know I would LOVE to have a margarita date you!! And I would also love to meet up with Stephanie Howell (stephaniehowell.com) for a coffee date. She is a mama of 4 girls- expecting her fifth and she just seems like the type of person I would really hit it off with! Have a great day friend! Littlebabygarvin.blogspot.com is the first blog I started following -- and I'm still following 2+ years later. Jessica is hilarious, crafty/creative, and refreshingly honest. 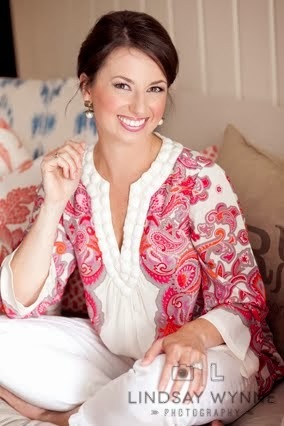 She's a mama to two girls with a third on the way so she's always sharing kid-friendly crafts/recipes/ideas as well. I'd love to be friends with her!